Here is some information about parenting time and custody after an Arizona divorce. When parents get divorced or separate from each other, the children continue to need care and support. In a perfect world parents would discuss and agree upon the details concerning child care and support, such as who will be the primary caregiver, how important decisions concerning the child will be made and how much child support is needed to properly provide for the child. But of course this isn’t a perfect world, and separation and divorce are fraught with high emotions, so if parents cannot agree on these things the court will step in and decide these matters. One of the matters to be determined is custody. The person who is granted custody is called the custodial parent and has the legal right to make major decisions concerning the child, such as those pertaining to healthcare and education. Often the child lives with the custodial parent. In years past the mother was almost always given custody of the children, but today Arizona law does not favor one parent over the other when determining custody. Although the custodial parent has the right to make all major decisions, it’s always in the child’s best interest if parents can come to an agreement. If the court deems that it is in the best interest of the child, they may grant joint custody, in which case, both parents are expected to submit parenting plans, in writing, to the court. There is a difference between joint physical custody and joint legal custody. When parents are granted joint physical custody the dwelling place of the child is shared between both parents, allowing the child to live with both parents for equal amounts of time. When parents are granted joint legal custody they are both equally responsible for making major decisions in the child’s life. Even when joint legal custody is granted, the court may determine that certain decisions can be made by only one parent. Parenting time is different from child custody. Children need both of their parents to be involved in their lives, so when parents don’t live together, parenting time agreements or orders ensure that the child has the opportunity to spend time with both parents. Arizona law states that each parent is entitled to reasonable amounts of parenting time. Nevertheless, the right to parenting time can be denied or limited if it is shown that the child would be endangered physically or mentally by spending time with a parent. If parents are unable to reach an agreement concerning parenting time the court may refer them to mediation services. If the mediation services are unsuccessful, and the parents cannot reach an agreement, the court will decide for them. The court generally allows parents to agree on the best custody and parenting time arrangements for their child, but if an agreement cannot be reached the court will make the final decision. On paper divorce sounds simple, but in fact, it is one of the most trying times in a person’s life. 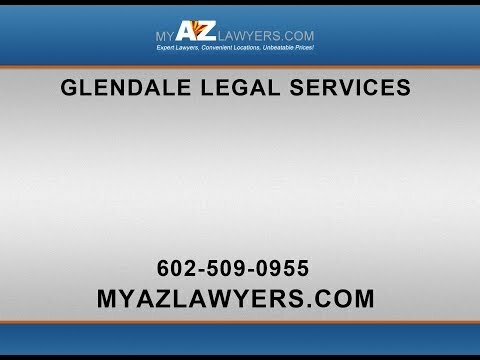 Having good legal representation by My AZ Lawyers greatly increases the chance of obtaining the best possible outcome. Call today to schedule a free consultation with one of our highly experienced Glendale divorce and family law attorneys.